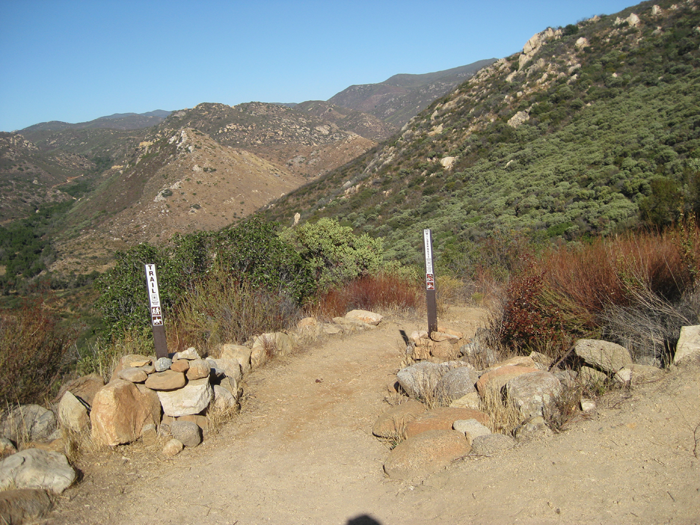 Length of Trail: Main loop – 5 miles with a shorter loop of 4 miles and various extensions to the trail. Staging Area: The staging area is off Lyons Valley Road, about 1.5 miles south of Japatul Road and a mile or two East of the Barrett Honor Camp. 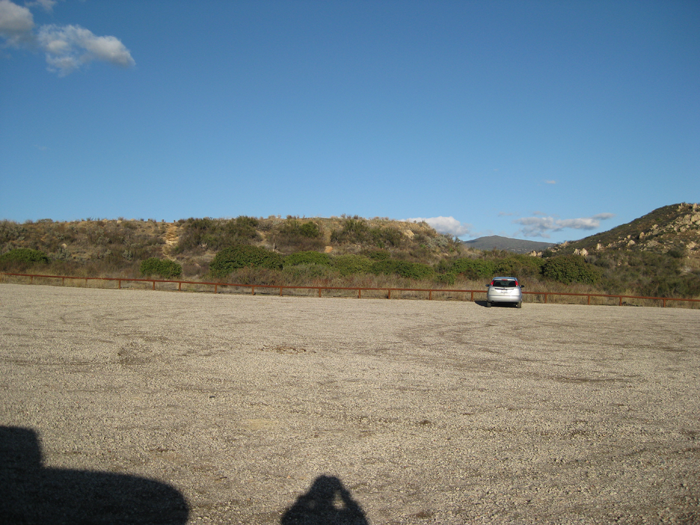 It is a large parking area with room for multiple horse trailers. The sign at the entrance to the trail limits equestrian groups to 8 horses, without a special permit. There are no restroom facilities. Cell phones do not work here. Water: There is no water at the trailhead. There is a seasonal stream and pond along the trail. Trail Conditions: Moderate. 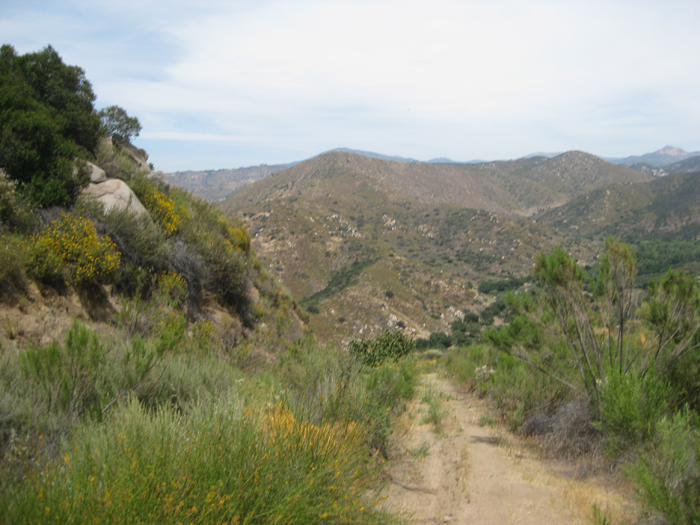 There is a relatively steep downhill at the beginning of this trail and a more gentle uphill climb at the end. The trail is in good condition. The alternate route home involves a strenuous climb. Trail Use: You need a National Forest Adventure Pass to use this area. 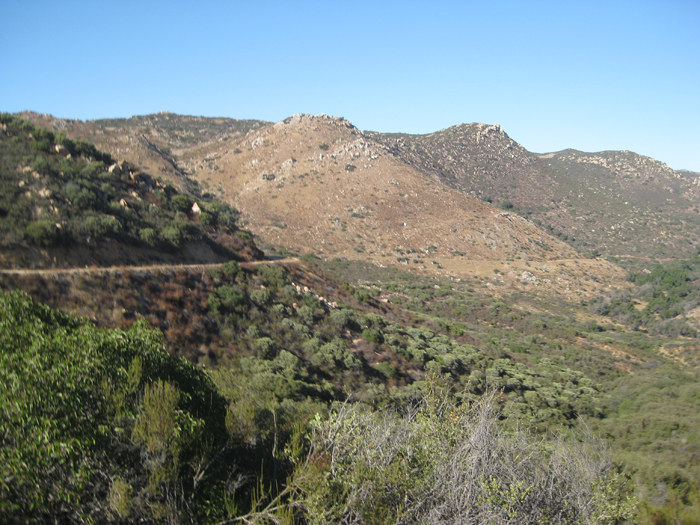 See the US Forest website, or the Cleveland National Forest Descanso Ranger District (619) 445-6253. The passes can be purchased at stores in Descanso and Pine Valley. General Trail Info: What a great name! 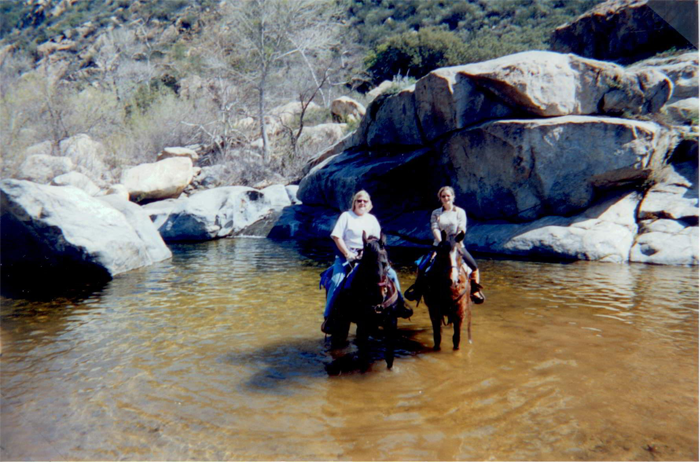 This corral-like canyon was used in the late 1800s by horse thieves to stash stolen horses in preparation for their passage across the international border. As far as I know there have been no recent incidents of equine rustling. There is a sign at the entrance that this is a known smuggler/illegal entry route, but I don’t think their interest is in the horses. 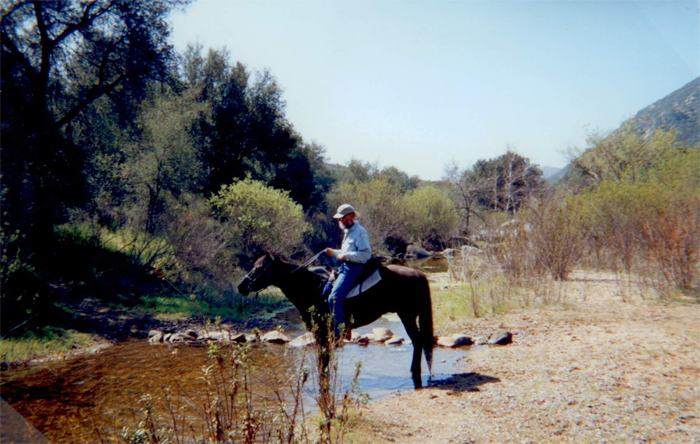 The trail is a major entryway into the 13,000 acre Pine Creek Wilderness, South of Descanso and Pine Valley. 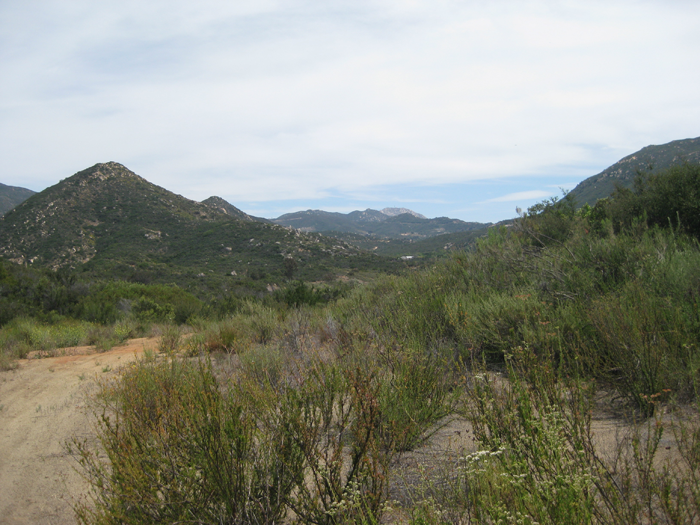 It is part of the Cleveland National Forest. 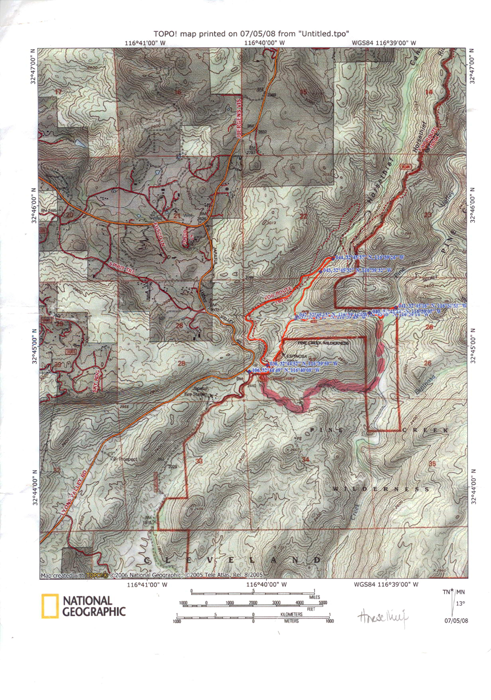 There is a map in the parking lot showing Pine Creek Wilderness and Hauser Canyon Wilderness. You can see the extensive fire damage from the 2007 Horsethief Fire. There are various trail markers on the route. 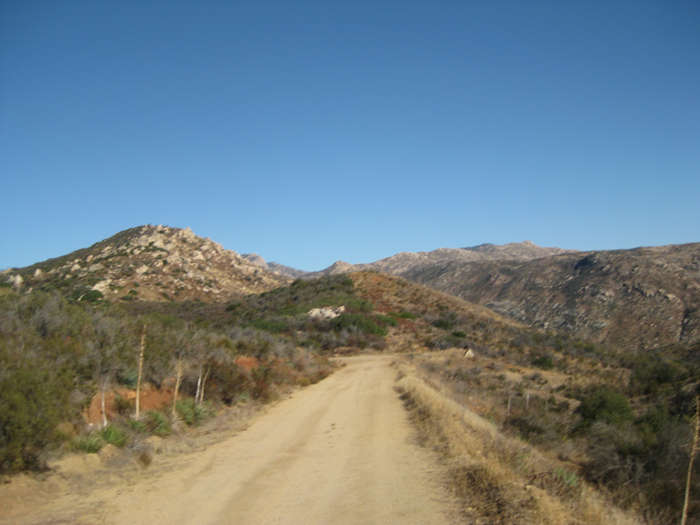 As you travel along the fire road, you have a wonderful view of the valley in front of you surrounded by a number of hills on each side. There is year round vegetation in the Pine Valley Creek due to the stream which flows through it most of the year. On a full moon, you can take this trail and just around the first corner, you have a wonderful view of the full moon right in front of you. It is memorable. The fire road is a good trail to take in winter when it is just too wet to ride on the regular trail. The road weaves its way up the hillside with spectacular views for 3-4 miles when it dead ends at private property.